Shop-bought hair growth products – including serums, tonics, and shampoos – contain harsh chemicals. These chemicals can not only harm your hair, but also prevent you from seeing the hair growth that they promise. Why spend money on something that you aren’t sure will work and could actually cause damage to your hair and scalp? Instead, I recommend you make your own product at home. The process is simple – each tonic only taking minutes to put together – and each of the below tonics’ ingredients has been scientifically proven to benefit scalp health and hair growth in one way or another. There are a number of things you can do to regrow your hair naturally. This includes the use of homemade, chemical-free shampoos and significant changes to your diet. While the above two natural methods are a good start, there’s always more you could be doing to bring about hair growth. One way to do that is to add hair growth tonics into your regular hair care routine. Hair tonics are easy to make, and even easier to use. They’re also significantly cheaper than any hair growth products you’d buy at the chemist, and you can customize hair tonic recipes for your exact needs. While none of these tonics will provide you with a one-stop cure for your hair loss, they can be added successfully to your hair care routine and provide you with just one more tool in your hair growth arsenal. To get the most from these tonics, I recommend you take these steps. You don’t have to use the tonic forever – especially if hair growth results seem to be slow or nonexistent. However, consistency is key and it can help you to learn better what works for you and what doesn’t. So, pick one of the below recipes (or make your own) and stick with it for at least 6 weeks. This is long enough to measure the results and see if the tonic is right for you. Of course, if you’re still unsure after 6 weeks and want to continue, go for it! There’s no time limit on these tonics’ uses. Your hair goes through a lot. From constant sun exposure to product buildup to pollutant contact, there’s much that can damage your hair just in your day-to-day life. With this in mind, then, it’s a good idea to first prepare your scalp for the tonics below. This will unclog blocked hair follicles, remove any harmful buildup (like DHT), and bring your scalp’s pH back into balance. Using a juicer (or blender and muslin cloth), juice the ginger and cucumber and combine. Mix in 100 mL of the mixture with the sea salt, powdered activated charcoal, and lemon juice. Apply the mixture to the entirety of your scalp, paying attention to areas with increased buildup. 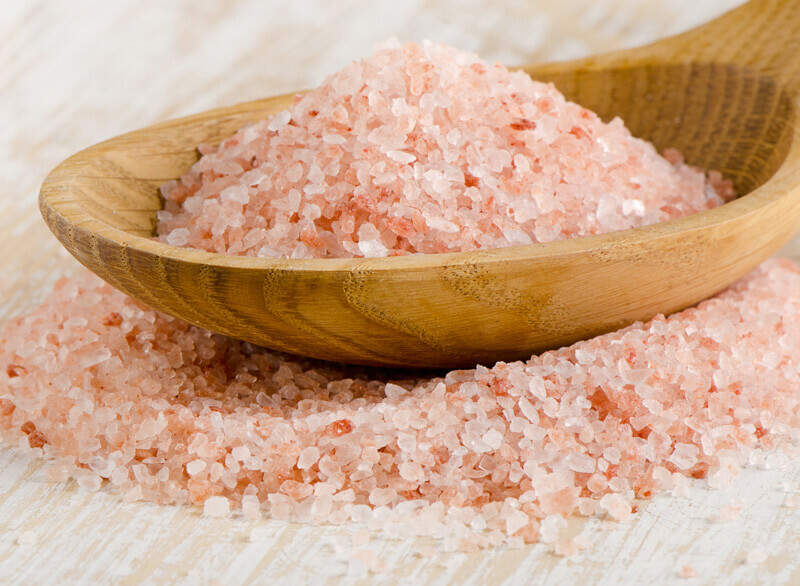 Gently massage for 5-10 minutes, giving the salt a chance to exfoliate, and then allow to sit for an additional 10 minutes. Rinse the mixture from your scalp and hair completely, and peel the rest of the mixture from your scalp. 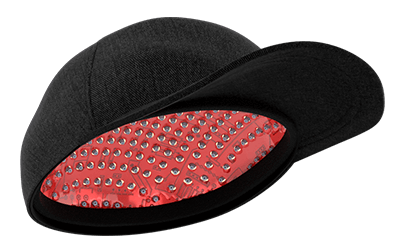 Be gentle, avoid yanking or jerking motions that can remove hair and damage follicles. If the first peel didn’t remove all buildup, repeat as many times as necessary. I wouldn’t recommend exceeding two times per week, though. A dermaroller is a hair growth tool that stimulates collagen production, increases the generation of dermal papilla cells, and increases blood flow to the scalp and hair follicles. With all of the above-mentioned benefits, it just makes sense to add a dermaroller into your regular hair care routine. For best results, I recommend you apply a tonic (like one of the ones below) to your scalp after your dermaroller treatments. 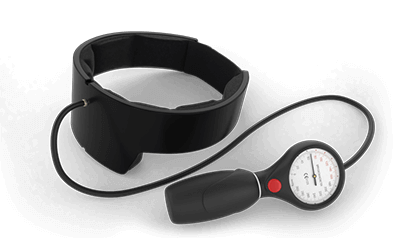 This is because the dermaroller is an excellent scalp prepping tool, opening the follicles and stimulating blood flow. Both of these will increase the effectiveness of any tonic, oil, or serum you use, and make their use all the more worthwhile. Magnesium oil is a powerful tool in the fight against dandruff. It breaks down the calcium salt deposits that can be found on the scalp, and this can prevent the formation of new dandruff flakes while simultaneously treating the already-present ones. Bring the water to a boil. Add the magnesium chloride flakes to a bowl, and pour the boiling water over them. Stir until the flakes dissolve, and allow to cool completely. Pour the tonic into a spray bottle. To use, mist your scalp and hair with the tonic. Massage into the scalp for at least 10 minutes, and then allow to sit for an additional 30 minutes. 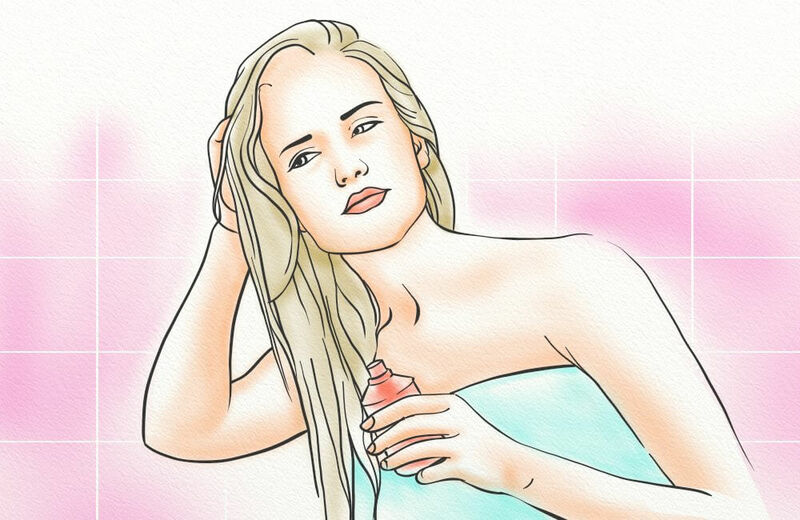 Rinse thoroughly, and then continue your typical hair care routine. For best results, use this tonic every day. The magnesium chloride flakes will break down the calcium deposits on your scalp. This, in turn, will reduce inflammation and irritation. In addition, the massage will stimulate blood flow to the scalp, delivering more nutrients and oxygen to the hair follicles. If your hair is currently dry and brittle, then chances are that any new hair growth you see will also be dry and brittle. This can lead to continued breakage, hair thinning, and loss and needs to be remedied in order to grow healthy hair in the future. Combine the above three ingredients in a dark-colored, glass bottle. This will protect the essential oil from sunlight (which degrades the oil) and keep the mixture fresh. Mix well before use. To use, pour into your palm and rub your hands together. Using both hands, gently massage the tonic into your scalp. Use gentle, circular motions to avoid disturbing the hair follicles. As you massage, work your way down from root to tip. Evenly distribute the oil, focusing especially on split ends and dry hair patches. The olive oil is this tonic’s main moisturizer. This oil works by penetrating deep into the hair shaft, preventing water absorption (which itself can lead to hair breakage). In addition, the almond oil adds an anti-microbial element. This prevents buildup of harmful microbes – includes fungus and bacteria – which can further contribute to hair weakness and breakage. 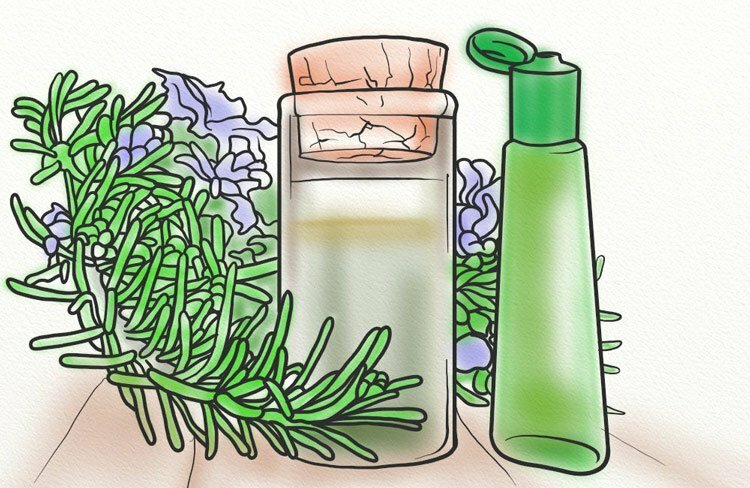 Last, the rosemary essential oil moisturizes the scalp, while also delivering hydration to each individual strand. It reduces inflammation (which can worsen your hair’s condition) and stimulates the hair follicles to promote hair growth. Combine both ingredients in a container of your choosing. Mix well before use, and apply directly to your scalp. Massage into your scalp for 10 minutes, and then allow to sit for at least 30 minutes. 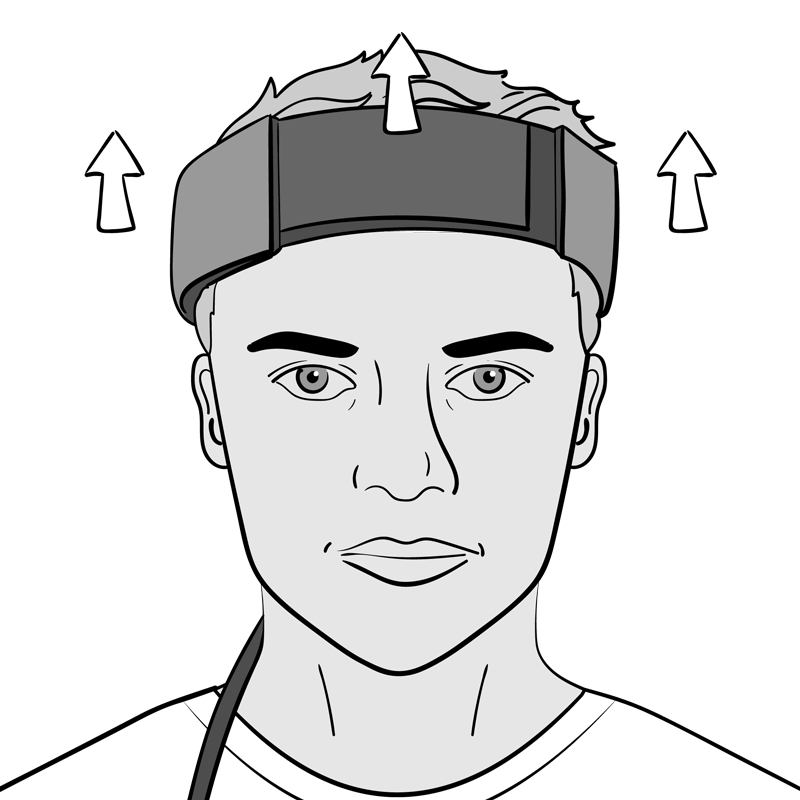 For additional benefits, dip a bath towel in hot water, wring it out, and then wrap around your head. This will open the pores and help both the essential oil and carrier oil to further penetrate. Once done, rinse thoroughly with lukewarm water. Citrus is an excellent source of antioxidants, magnesium, and potassium. All of these can help to bring your scalp’s sebum back into balance, ensuring that your scalp is neither too dry nor too oily. In addition, the grapeseed oil works to protect the scalp and hair. This is through its omega 3-fatty acid content, and is a great way to prevent further imbalance. 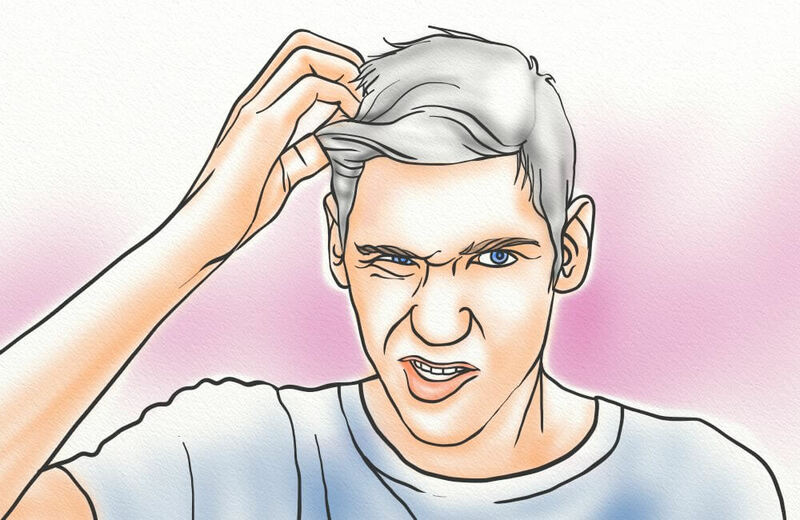 An irritated and inflamed scalp can lead to a myriad of hair issues. Not surprisingly, one such issue is hair loss. With this in mind, I’ve put together a three-ingredient tonic that will soothe the scalp and prevent further irritation and inflammation. Combine the ingredients in the container of your choosing. I recommend a dark, glass container to best protect the tonic from degradation. To use, pour over wet hair and massage. Pay extra attention to particularly irritated areas – those spots marked by redness, itchiness, flaking, or other sensitivities. Leave the tonic on your scalp for 10 minutes, and then rinse thoroughly with lukewarm water (hot water can further irritate the scalp, so this instruction is especially important). 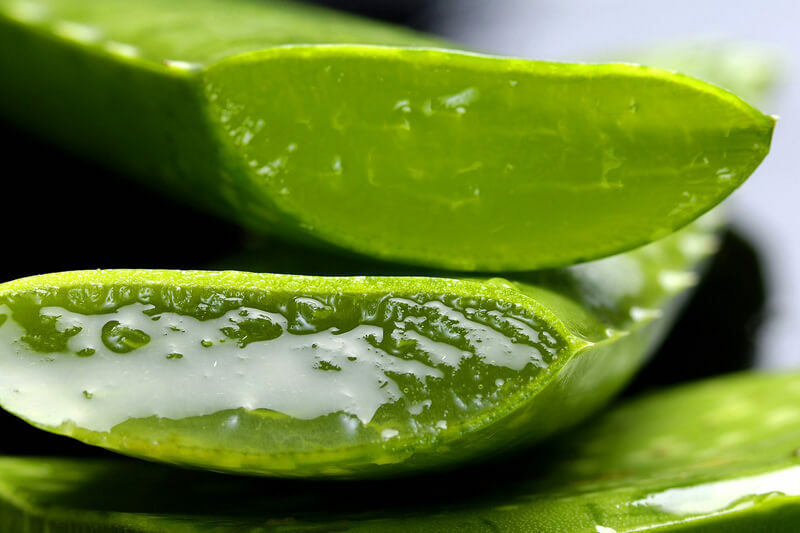 Aloe vera is typically used as a salve, soothing skin irritations and protecting the skin from further damage. This is true even when applied to the scalp, and is great for those with any number of scalp conditions (including dandruff, seborrheic dermatitis, and scalp psoriasis). In addition to aloe vera’s soothing abilities, almond oil adds an additional layer of protection against further irritation. This is due to the oil’s anti-microbial properties, making it an excellent, all-natural way to fight further scalp infection and irritation. Last, geranium essential oil boosts circulation to the scalp, as well as works as an anti-inflammatory. This unusual pairing – while perhaps not the most appealing recipe – is one which can cleanse your scalp and leave you with strong, full hair growth. 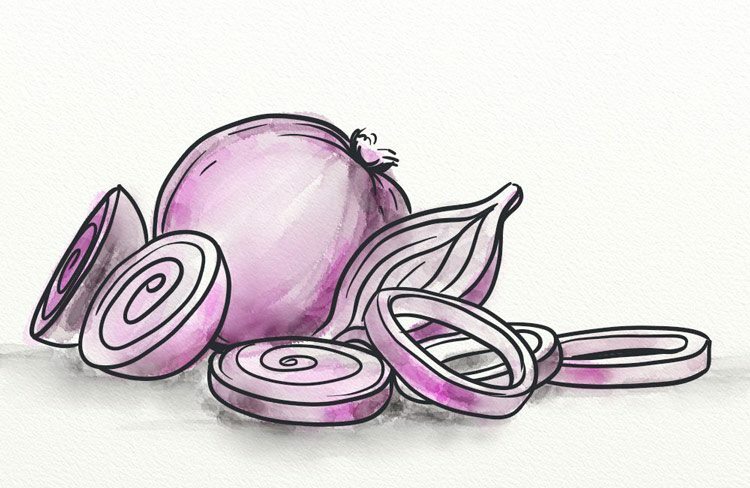 Using a medium – large onion, cut into quarters. Peel one quarter, and juice. Continue juicing until you have two tablespoons. Then, add in the honey and mix. Apply the mixture directly to your scalp, covering your scalp in a thin layer. Let it rest for at least 15 minutes, but you can also use a towel or shower cap and leave it on overnight. 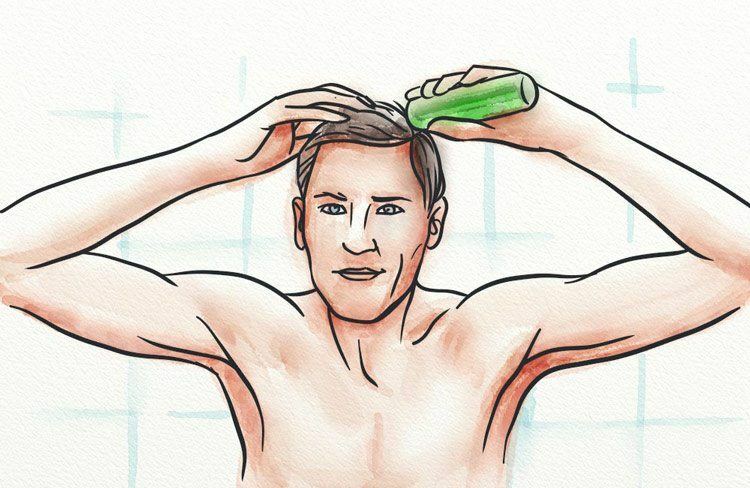 Rinse completely, and then shampoo your hair as usual. Onion juice is certainly an unlikely hair growth promoter, but research shows that its anti-bacterial, is a source of sulfur (which contributes to skin, hair, and nail health), and can combat inflammation. Honey adds an anti-microbial element, cleansing the scalp and removing unhealthy buildup. As an addition to your hair care routine, hair tonics can provide you with a bit of a hair growth boost. Does this mean hair tonics will stop your hair fall and regrow your hair alone? No. While hair tonics can certainly offer a multitude of benefits – including scalp moisturization, hair follicle cleansing, and hair strand strengthening – they should only make up one part of your hair growth plan. This is because hair thinning and loss can be caused by a multitude of factors, and it’s best to tackle the issue from all sides.